The Freedom Targets™ Coyote Silhouette from Birchwood Casey® offers shooters the ultimate in target portability and freedom from staples, tape and heavy stands. 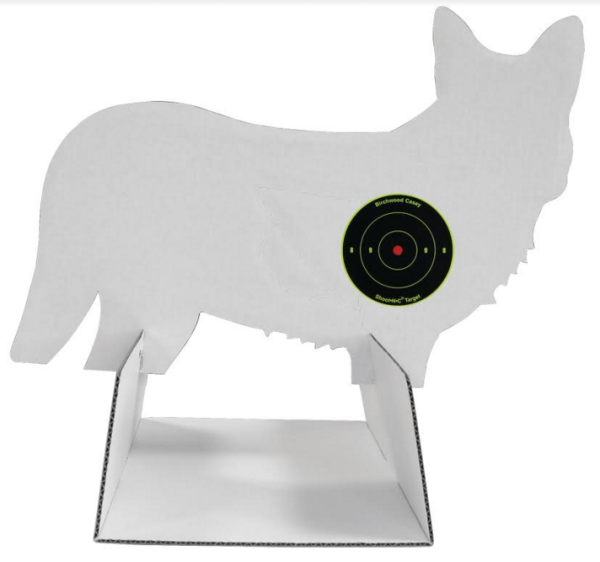 The Freedom Targets Coyote Silhouette Target measures 12”x18” and features heavy cardboard construction and folds flat for easy transportation. The base easily folds up to hold the coyote silhouette backer for a sturdy, free-standing target that stands up to plenty of shooting. The coyote silhouette comes with 24 three-inch Birchwood Casey Shoot-N-C® Bulls Eye targets, which show a bright chartreuse ring around each bullet hole, making sight adjustments quick and easy. The new Freedom Targets Coyote Silhouette is made in the USA and sells for a retail price of $7.60.